This chapter demonstrates about the SVG stroke which consist of wide range of stroke properties which are applied to any type of elements following are the concepts covered in this chapter. Stroke attribute is used to define the border color to the particular shapes and paths. SVG properties applied to any type of lines, outlines and text of an element. The code below demonstrates the basic stroke property to the lines. SVG have the several stroke properties to stroke the lines, outlines, text of elements, some of the svg properties are listed below. Stroke linecap property is defined as the different types of endings to an open path. The code below demonstrates the stroke line property is used to give stroking to the following lines. 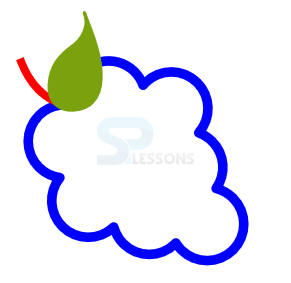 Stroke linecap property is defined as the different types of endings to an open path. The code below demonstrates the stroke line property which gives stroking to the following lines as shown. Stroke linejoin is used to demonstrates how the corners look on a path and basic shapes these are defined by three types the figure below demonstrates the stroke line join. The code below demonstrates the stroke line join as shown. <path class="grapes" fill="none" stroke="#765373" stroke-width="6" stroke-linecap="round" stroke-linejoin="round" stroke-dasharray="470" stroke-dashoffset="470"
<path class="stem" fill="none" stroke="#59351C" stroke-width="5" stroke-linecap="round"
<path class="leaf" fill="#7AA20D" stroke="#7AA20D" stroke-width="2" stroke-linecap="round" stroke-linejoin="round"
<path class="grapes-2" fill="none" stroke="#765373" stroke-width="6" stroke-linecap="round" stroke-linejoin="round" stroke-dasharray="70"
Stroke-dash array is used to create the dashed line with stroke for which user need to use the stroke-dash array attribute the as shown in the below code. stroke property is used to stroke the SVG line,text etc. 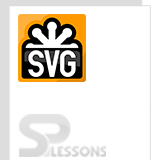 SVG stroke is used as a vector graphic software. stroke width is applied on the border of the lines.